4C Mailbox with 9 over-sized tenant compartments, 2 parcel lockers, and 1 outgoing mail compartment..
4C Mailbox with 9 tenant compartments, 1 parcel locker, and 1 outgoing mail compartment. 4C mailbo..
4C Mailbox with 10 tenant compartments, 2 parcel lockers, and 1 outgoing mail compartment. 4C mail..
4C Mailbox with 9 tenant compartments, 2 parcel lockers, and 1 outgoing mail compartment. 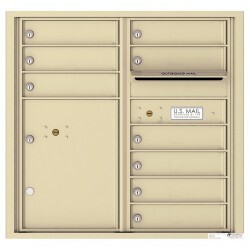 4C mailb..
4C Mailbox with 10 tenant doors and 1 outgoing mail compartment. 4C mailboxes are ideal for privat..
4C Mailbox with 9 tenant doors and 1 outgoing mail compartment. 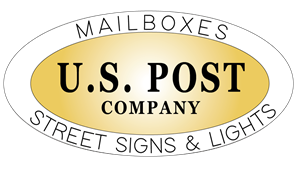 4C mailboxes are USPS Approved and..
4C Mailbox with 9 tenant compartments, 2 parcel lockers, and 1 outgoing mail compartment. 4C mailbox..
4C Mailbox with 10 tenant compartments, 1 parcel locker, and 1 outgoing mail compartment. 4C mailb..
4C Mailbox with 9 tenant compartments and 1 outgoing mail compartment. 4C mailboxes are USPS Appro..